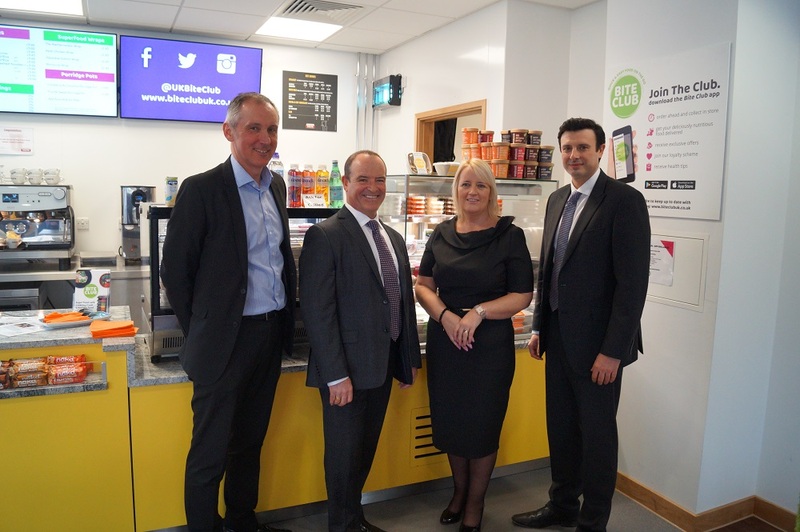 A Liverpool-based start-up offering nutritious meals for an affordable price has received a £100,000 loan from NPIF – BFS & MSIF Microfinance, part of the Northern Powerhouse Investment Fund. Bite Club, based in The Accelerator Building in Liverpool City Centre, provides nutritious and healthy superfood meals across the city from their cafés in multiple sites, branded fridges and app-powered online delivery service. The company was formed in 2016 by two University of Liverpool students Matt Evans (MBA post graduate) and Chris Bell (undergraduate). Chris and Matt identified a gap in the university’s catering offering and worked on a strategy to provide students with a healthy alternative to the current convenience food offering. With further research the pair realised that there were very few options in the city for nutritious lunches and meals and started working on plans to expand their business across the city. Since its inception in 2017, Bite Club has expanded rapidly, thanks to the constantly growing pre-packaged convenience food market, and a product offering that is something completely different to current offerings. The Bite Club menu is specially created using a range of highly nutritious superfoods including grains, seeds, fish, protein, dairy, vegetables, herbs and spices. As a result, every Bite Club meal provides a wholesome, healthy lunch with at least 75 per cent plant fibre. The funding from MSIF has allowed the company to finish developing their website and mobile application, cover initial capital expenditure and be used as growth capital for the business. Bite Club is also the current sole food provider at Liverpool University’s Sports and Fitness Centre, and also offer their food in 11 food outlets across the University of Liverpool’s campus. Bite Club also have an agreement to supply their meals to The Royal Liverpool University Hospital. Matt Evans, co-founder of Bite Club, said: “This is an incredibly exciting time for Bite Club, and this round of funding from MSIF will allow us to expand the business rapidly and increase our production to meet demand. Liverpool is a thriving city, with new businesses starting up every day, and we’re proud to say that we’re among them.